When the games have been sold, and the swag remains: What do you do? What does a man do with 180 promotional boxes for Borderlands 2? He stacks them, apparently. This image set, uploaded to imgur by bitterguy a week ago, was tweeted at Gearbox's Randy Pitchford this morning. 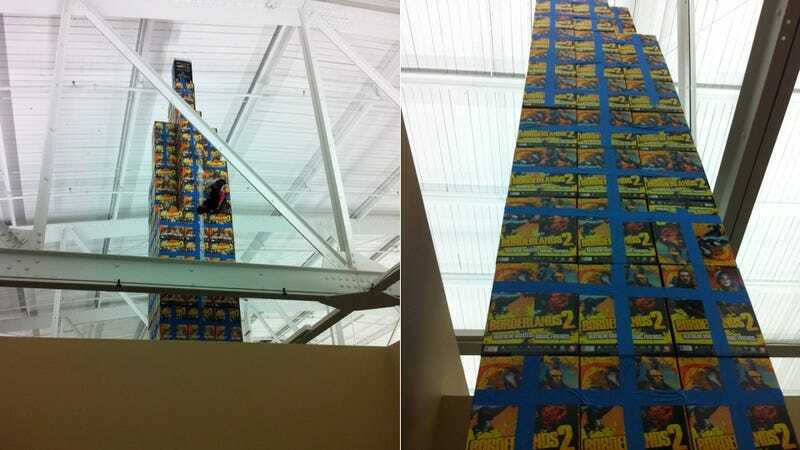 The imgur description: "What to do with 180 leftover boxes in an office building with a high roof."